One year ago, I started taking pictures of cyclists but also decided that I would talk to them in order to make their portrait and add a personal touch to the photo. During this year, I published 45 portraits of inhabitants from Copenhagen and 2 from Aarhus. Almost all the people I stopped while they were cycling to the office or back home accepted to answer my questions and to pose in front of my camera. I want to sincerely thank all of them for their time and their smile. Here are some of the common points I came across during the interviews. 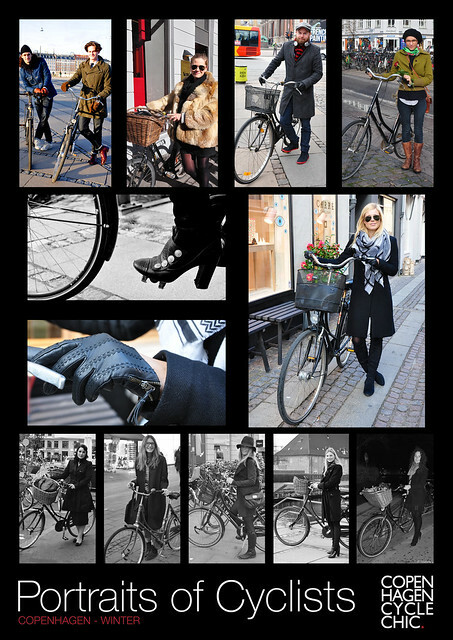 99% of the people I talked to are cycling every single day in the streets of Copenhagen. They enjoy it and find that cycling is the best way to get around in the city. Just as all the surveys already demonstrated it, they think cycling is convenient, fast and cheap. Often they added that it's healthy and a very good way to get fresh air. For some of them, cycling helps them to wake up in the morning. A lot of bicycle users told me that they appreciate when they run into a friend along the cycle tracks. They just wave or stop to have a chat during their commute. Moreover, they feel that they are really in contact with their city since they cycle through it. A significant amount of cyclists remember quite easily their first bike or the first day they cycled alone. I always felt that it was an important moment for them when they spoke about it. Surprisingly, I heard often that the Copenhageners don't really use a bike when they visit a city abroad, feeling that the city is less adapted to the cyclists than their home town. 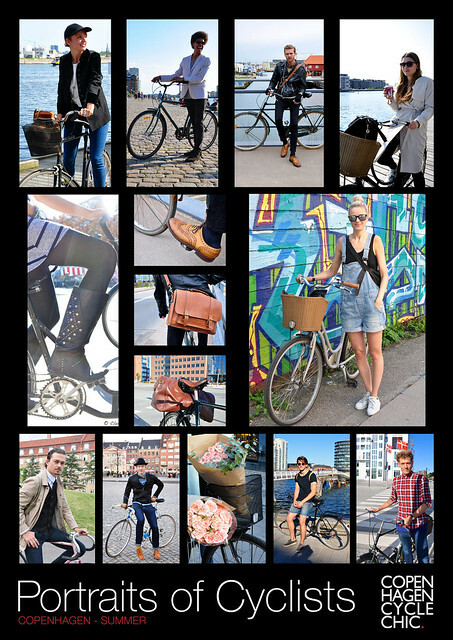 Here are some cyclists you have seen this year and some details that make the difference when you want to Cycle Chic. They are a vital contribution to Copenhagen urban landscape.